Doug Ross @ Journal: If Mr. Obama secretly planned to give Iran nuclear weapons, exactly what would he be doing differently? The administration is also trying to improve Iran’s standing with the Financial Action Task Force (FATF), a watchdog organization that works to prevent illicit financial transactions. The FATF temporarily suspended countermeasures placed on Iran due to its its money laundering and terror financing on Friday after securing commitments from Iranian officials to clean up its practices. Treasury Secretary Jack Lew met with the governor of Iran’s central bank in April to discuss improving Iran’s standing with the FATF, senior administration officials told the Journal. The efforts to improve Iran’s standing with FATF, and thereby ease Iran’s path towards rejoining the global financial system, came despite the fact that, as a Treasury official noted in letters to Sens. Marco Rubio (R-Fla.) and Mark Kirk (R-Ill.) that were leaked to the Washington Free Beacon earlier this week, “Iran is a high-risk financial jurisdiction and has been designated as such by [FATF…and] is a Jurisdiction of Primary Money Laundering Concern….The concerns remain regarding Iran’s economy, such as transparency issues, corruption, and regulatory obstacles, have given businesses and banks pause when considering whether to engage with Iran.” The Treasury’s desire for Iran’s FATF rehabilitation, despite its statements to lawmakers (shortly before FATF suspended its countermeasures) that Iran remains a money-laundering concern, may raise suspicions that the government lobbied FATF to support Iran’s efforts in the same way that it has done for other international bodies. The United States is also caught between opposing groups of allies regarding Iran’s desire to join the World Trade Organization (WTO). European allies have been pushing for Iran to join the WTO, while Gulf states, led by Saudi Arabia, oppose the membership bid. “The WTO accession process is based on consensus, and as of now, there are a number of countries that oppose appointing a chair to Iran’s working party on accession,” a State Department official told the Journal. “Business diplomacy has been a core part of Mr. Obama’s foreign policy approach in engaging U.S. adversaries,” the Journal explained. “Mr. 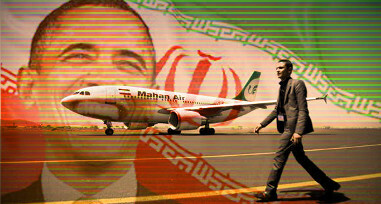 Obama sees the expansion of business transactions with the West in countries such as Iran and Cuba as the most promising means for solidifying the president’s policies there, his aides have said.” The controversial $25 billion sale of Boeing planes to Iran’s national carrier, Iran Air, is seen as “a boost” to these efforts.